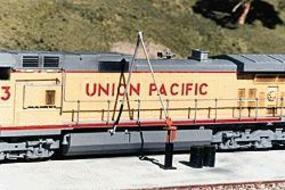 Shop online for 45 american-limited model trains at discounts up to 22%. Freight Cars is the most popular of the 6 american-limited model trains categories, then Buildings, and Parts. 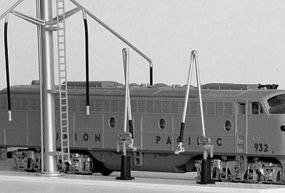 This is the N Scale Snyder Fuel Crane - Kit - Includes 2 Fueling Rigs from American Limited Models. This is the HO Scale MDC Harriman Oper. Pass. Car Diaphragm (1 Set) from American Limited Models. This is the HO Scale Stewart FT Unit Oper. Diesel Diaphragm (Gray) from American Limited Models. This is the HO Scale Snyder Diesel Fuel Crane - Kit - pkg(2) from American Limited Models. 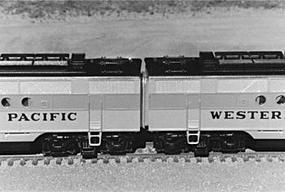 This is the HO Scale Working Diaphragm Kits - 6 Pair - Gray - For Con-Cor Superliners from American Limited Models.